Product Alert: Gluten Free Watchdog tested Purbread and not surprisingly it tested well above 20 ppm gluten. It contains as ingredients: Sour dough starter, Gluten neutralized white winter wheat, Raw pure honey, Pure maple syrup, Pure canola oil, Sea salt. Please do not eat this bread if you have celiac disease or non celiac gluten sensitivity. Purbread is made and sold in Pennsylvania. We are aware of two stores that carry it–Westtown Amish Market and Martindales in Springfield. The baker of this bread has been notified about the test results via email. We have also notified the FDA but it is unclear what if anything will be done. It sounds like this may be an intra-state issue. If you live in PA and are familiar with either of these markets, please keep an eye out for these products and use the comment section to let us know if Purbread products continue to be available. If you are willing to help get this bread removed from store shelves please let us know. This bread also may be sold at farmers markets. 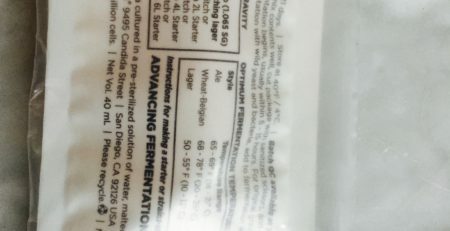 Thank you to those of you who alerted GFWD to this product, took photos, and sent a loaf of the bread to GFWD for testing. NOTE: If you live in PA and would like to help, the number for the FDA Consumer Complaint Coordinator in PA is 877-689-8073 (toll-free). Please call and report this bread. Please let them know that test results have been reported to FDA headquarters but that this may be a state issue (product appears to be made and sold in PA only). Please also contact the stores–Martindales in Springfield and the Westtown Amish Bakery and let them know that this bread was tested for gluten by Gluten Free Watchdog and tested very high for gluten. It is wheat bread and should not be promoted as an appropriate product for folks with CD/NCGS. UPDATE: According to Martindales this bread has been removed from store shelves. The bread we investigated previously through GFWD is Dan the Baker sourdough bread. After login you can read the follow-up at https://www.glutenfreewatchdog.org/product/dan-the-baker-country-sour-bread-not-labeled-gf/333 (or type “Dan the Baker” into the search engine). And yes, it appears to be the same issue. Some bakers seem to believe that sourdough bread is safe for people with celiac disease. They do not seem to understand that there is a difference between what can be accomplished in the laboratory using sourdough lactobacilli and fungal proteases and what can be achieved in a kitchen. Linvilla Orchards, Middletown, PA., is carrying this bread. I just bought one today. Thanks for the heads up. Oh my. Thanks for letting me know. Martindales removed the bread from the store. I was hoping everyone else had done the same. I have a severe gluten intolerance and when eaten in large quantities I go into anaphylactic shock. Yesterday a coworker gave me a loaf of “Purbread Gluten Neutralized Cran Apple Bread Baked by Kate’s Bakery in GAP PA for PURBREAD of West Chester PA. Co-worker bought this at Kimberton Whole Foods in Kimberton PA ( NOT associated with the Wholefoods Chain stores) . Unfortunately this morning I ate a thick slice before looking up what the heck “Gluten Neutralized” meant. I’ll let you know if this amount makes me sick later. ( Diareah, stomach ache, intestinal cramps, malaise vomiting sweating etc.) I will take your advice and call and report the sale of this to the FDA. Thank you for the information. Just bought a loaf of this bread at Kaufman’s at Bird in Hand in Lancaster County two days ago. I am not concerned with gluten and bought to taste out of curiosity. However, if someone has an issue with gluten, it could make they sick. There’s a local baker in Winter Park, FL that tried to tell me the same thing about their sourdough! Ugh! Does the baker label the product “gluten-free” or publicly promote the bread as “safe” for people with gluten-related disorders? Have you sent your results to the Pennsylvania Department of Agriculture? They regulate food safety within the state. I would think this falls under that umbrella. No, test results have not been sent to them. Do you have a contact person and email address? Thank you! Google Paul Seelig in North Carolina. He got 11 years. This is not quite the same situation. From what I understand, Mr Seelig (or someone acting on his behalf) was removing regular wheat bread from its original packaging and placing it in gluten-free packaging. Purbread products are not labeled gluten-free. Regardless, this bread should not be eaten by folks with CD/NCGS and it must be removed from store shelves. It is beyond frustrating to see this kind of labeling going on. 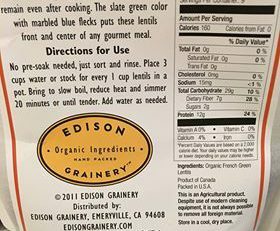 It is hard enough for new Celiacs/NCGS to do the diet in addition to having to wade through this type of labeling confusion. Thank you for doing what you do! 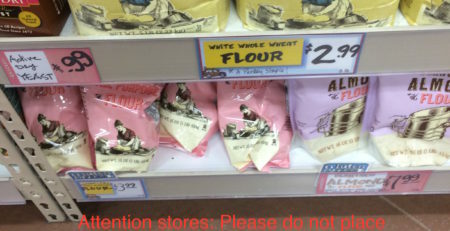 I understand the concern over the bread’s label, but why must it be “removed from store shelves”?? Why can’t they just change the label? People who don’t have celiac should still be allowed to purchase and eat sourdough bread. Removing product from store shelves refers to current inventory. I totally agree. Why witch hunt these poor people. No where on label does it say gluten free. I can’t eat the hybridized American wheat but I can eat this. I’d be sad to see it taken off shelves. The sour dough culture eats whatever in the bread I can’t eat. It is lovely to be able to go to a store and buy an awesome tasting loaf of bread. It’s been a long time since I’ve been able to do that. I’d hate to see people run them out of business. If you are a celiac don’t eat it as wheat is listed as the second ingredient. But why ruin it for everyone. Some personal responsibility has to be taken for just not being stupid. If you are allergic to wheat then don’t eat something that has wheat in the ingredient list. Duh. Hi Tracy, The folks at Purbread should stop labeling this bread as “gluten neutralized.” They should also stop promoting it as “safe for those with gluten allergies” which they recently stated on their Facebook page. My daughter is not able to eat gluten, however, we were traveling through PA last week and saw this bread for sale. We purchased it and she has eaten it with NO problems! I was actually online tonight trying to find out if we can have it shipped to us and came across this. Hi Carol, If your daughter can not eat gluten for medical reasons then she should not eat this bread. The bread tested > 84 ppm gluten using the sandwich R5 ELISA and > 283 ppm gluten using the competitive R5 ELISA. Marianne, Where did you purchase the bread? I just bought this bread at the Wayne Farmers Market yesterday. They told me the gluten was removed, and that the bakery making it had been working on that process for years. As I look at the bread label more closely now it says “not recommended for Celiac”, but I’m pretty sure that the Bakery I purchased it at had a sign that said “Gluten Free”. I’m very happy that I found this website. Thank you! Hi Erica, My apologies for not responding to your comment earlier. Does the label itself state “not recommended for celiac” or is this statement included in a leaflet provided with the bread? Also, does the ingredients list include the word “wheat” or just “flour.” Thanks for any additional information. Hmmmm…that’s weird. My mom has Celiac and I have a strong gluten intolerance and this is the first time I’ve been able to eat something made from wheat. Neither myself or my mom have any symptoms from eating PurBread’s loaves. We love them. I only eat maybe 2 to 4 slices of bread since I don’t typically eat sandwiches, but man this stuff if better than anything glute-free I’ve ever had. I think I’m confused by the test results because the bread isn’t advertised as gluten free but gluten neutralized, so it makes sense that it is still in the bread, right? If your mom has celiac disease she should not eat this bread. If you have medically diagnosed NCGS you should not eat this bread. This bread tastes “better” to you than other gluten-free breads because it is not gluten-free. Gluten neutralized has no meaning–it is a made-up term. It is being used in this sense to indicate (wrongly) that the sourdough has broken down the gluten in the wheat. 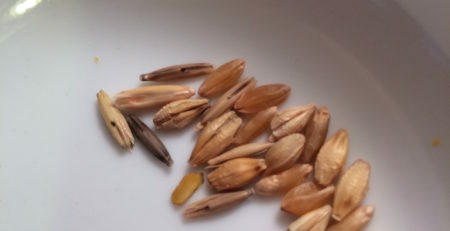 I do have Celiac and I usually have a bad reaction even with a small amount of contamination so I was surprised when I found this post (i guess I should have searched before I ate it). I just purchased this bread at the new Westtown Amish Market on 926 in Westtown PA yesterday and ate some this morning. So far, no issues. At the Amish Market they have a one page handout explaining the process and stating that it’s safe for Celiac’s. The handout also explains that they don’t remove the gluten so, to me, it makes sense that your testing shows gluten. Their pitch is that the fermentation process over 2 days (as it was done prior to 1950) changes the gluten from bad to good (in so many word). Is this possible? Are you just relying on the gluten tests or have you done more research? I don’t want to get sick so I will hold off on eating more until I find more info on this product. D. Ann, In response I refer you back to my reply to Carl. The manufacturer of this bread should not be marketing this product to folks with a gluten-related disorder and this bread should not be promoted as gluten neutralized. This bread contains gluten–and a lot of it. My dad and I just bought a loaf each for $9 at Linville Orchards. I asked at the bakery counter if they had anything gluten free and she directed me to the shelf that contained multiple types of this bread. Amy, Do you have celiac disease? If so, you should not eat “gluten neutralized” Purbread. Anita, is the bread labeled “gluten neutralized”? They sell this bread at Kimberton Whole Foods in Kimberton, PA in Chester County. I would hope that anyone with gluten issues would read the ingredients and see that “wheat” is on the list. Very upsetting that a company is trying to mislead consumers. It is available at the Ardmore farmers market as of today 1.7.2017. I had no idea what “gluten neutralized” meant, so i Googled it and found this site. Thanks for the heads up! I got one at ardmore today too and found tbis site exa tly the way you did! Coop in Swarthmore PA selling their breads and loaves such as pumpkin. NOTE from Gluten Free Watchdog: This message has been edited (certain statements removed). We have not yet been able to independently verify the health inspection report. –Food Facility Person in Charge not able to provide documentation that pre-packaged breads (some labeled gluten neutralized) are from an approved source. 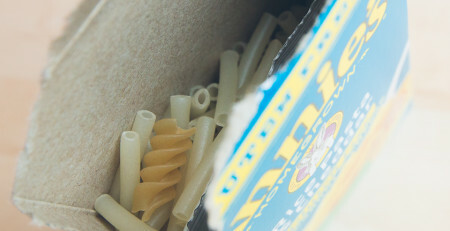 These products may not be offered to the public until documentation is provided indicating that it is from an approved source. Do you have a link to the inspection violation? 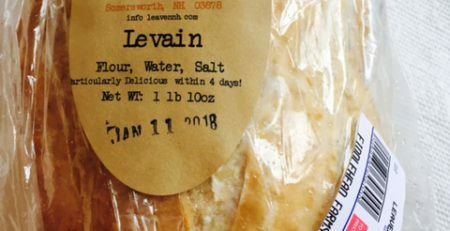 Yes, we just saw this bread at Kimberton’s Whole Foods in Malvern – and it still labeled “gluten-neutralized”. Again, to anyone with a gluten-related disorder, wheat allergy, etc, please do not eat sourdough wheat bread. Hi. I just got a loaf of the apple at the Amish Stand at the Farmers Market In Ardmore PA. The label says gluten neutralized but nowhere on the label does it say ids safe for celiac folk. Nor does it say gluten free. However, when i picked up a loaf to read the ingredients, the young sales lady assumed i was looking at it because of gluten (i was Actually looking for a bread without dairy) and she said stuff thatcant possibly be true and i think could be misleading to those who are gluten intolerant. I will look at the label again to see if theres fine print anywhere. .
I’m curious to know what types of verbal claims the vendor is making to consumers. Shane, There is no scientific research published in the peer review literature that has found commercially available artisan breads to be well tolerated by folks with celiac disease. If you have celiac disease and you have been eating sourdough wheat bread (or any other bread using wheat grain) my recommendation is to have your antibody levels checked. Hi there. I have a severe gluten intolerance and my brother has celiac. I have been eating this bread for about a year and have absolutely NO problems whatsoever. I love it. My brother will throw up if he eats any gluten. I told him about this bread and he decided to try a small piece of it. He had no problem. I know you are trying to help people, but I believe there is something to gluten neutralization. Hi Josephine, There is no such thing as gluten neutralized bread. It is my very strong recommendation that your brother inform his gastroenterologist and dietitian that he has been eating this bread. He should share the test results (gluten content) of this bread with them as well. Folks, just an FYI that if you are sending comments about Purbread and how it is okay for folks with celiac disease and non celiac gluten sensitivity to eat, they are no longer being posted. Commercially available sourdough bread is NOT safe for those with medically diagnosed gluten-related disorders. The study that is mentioned by some who believe sourdough bread is safe for folks with celiac disease is a 2011 study by researchers Greco et al. What the researchers actually report: When two study participants ate baked goods made using extensively hydrolyzed flour (gluten reduced 97% and containing 2,480 ppm gluten) no clinical complaints were reported BUT they developed SUBTOTAL ATROPHY of their intestinal mucosa. In other words (and not surprisingly) these products are NOT safe for people with celiac disease. The researchers write, “Two CD patients consumed 200 g of S1BG that contained ~ 2480 +/- 86 ppm of residual gluten. They had no clinical complaints during the 60 days. One showed increased antibodies and both showed increased CD3 and gamma-delta intraepithelial lymphocytes with subtotal atrophy after challenge.” The products that the study researchers believe may have potential use in gluten-free diets are those that have been fully hydrolyzed (8 parts per million of gluten) through sourdough lactobacilli and fungal proteases. This type of product is not manufactured commercially. Just a thought but maybe the folks that are having success with the Pur bread are really folks with IBS issues who are benefiting from the low FODMAP properties of the Pur Bread. We have gluten intolerance but are VERY sensitive to gluten products. I’m curious to try the Pur bread as we are only dealing with GI discomfort. Yes, if someone is following a low FODMAP diet, some sourdough breads may be low in FODMAPs and acceptable on the diet. However, folks on a gluten-free diet for medical reasons, including celiac disease should not eat this bread or any other commercially available wheat-based sourdough bread. They contain high levels of intact gluten. This bread is being sold in Kimberton Whole Foods in SE PA! Thanks for letting me know. Does Whole Foods include a gluten-free shelf tag or any literature alongside this bread? Kaufman’s in Lancaster County PA is selling this bread! Linvilla Orchards, Middletown, PA., is still selling it and the label still says “gluten neutralized”. Thanks for the information, Colleen. Do you remember if “wheat” is declared in the ingredients list or Contains statement?